All Miss Fortune skins sorted by release dates, including the best MF skin in our opinion. 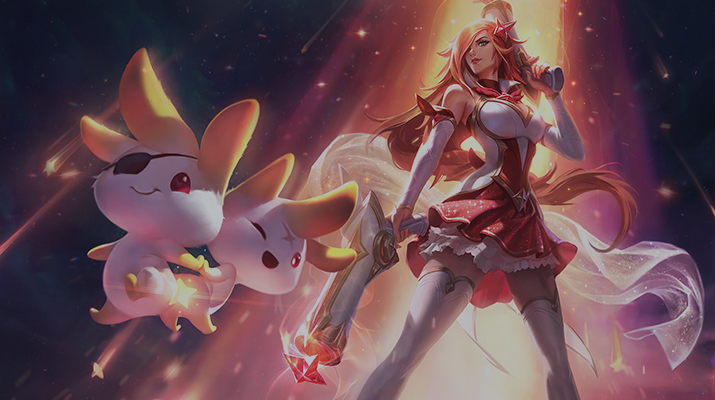 Splash Arts, Video Spotlights & Release dates. In this short article we will list all Miss Fortune skins. MF skins are sorted by release date and accompanied by splash arts and video spotlights. Idea of moving MF to the “wild west’ atmosphere lies on the surface. Probably, that’s why this skin was released alongside with champion release. Skin looks decent but it’s obviously not the best MF skin. 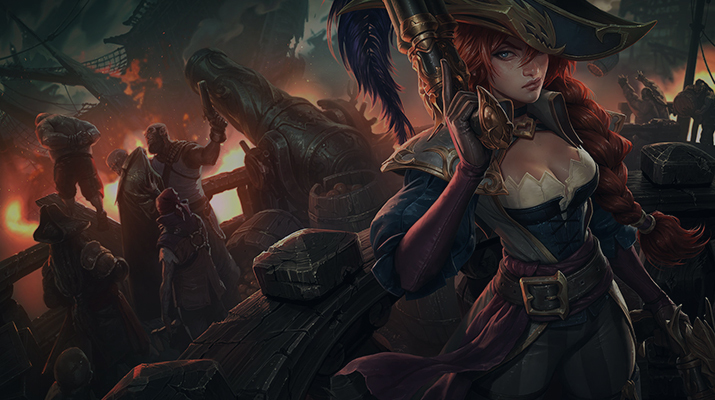 Theme of this Miss Fortune skin is the reference to Battle of Waterloo where Napoleon got defeated. Another skin which was released together with Miss Fortune itself. By the way, this is the cheapeast MF skin. 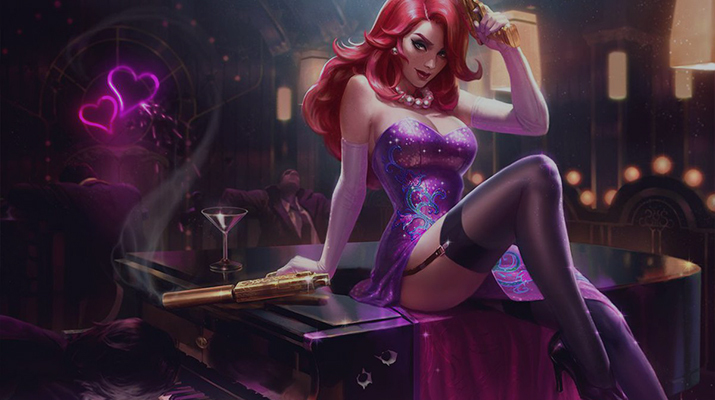 Almost in a month after champion release, Miss Fortune received another skin in the image of James Bond girl. Despite the fact that this skin was moved to legacy vault, it looks good because was reworked during marksman update. 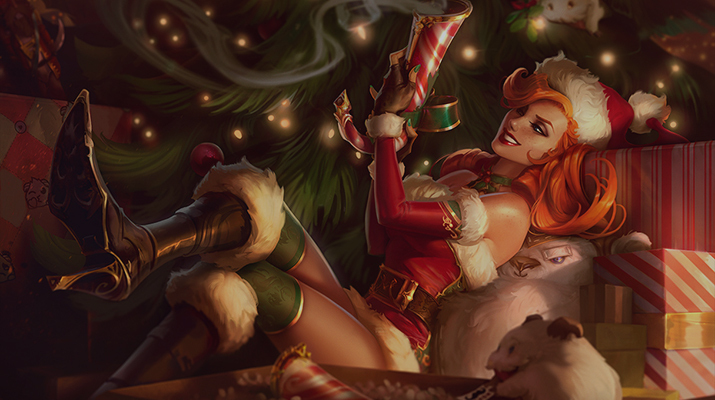 Christmas skin for Miss Fortune. As other legacy skins for MF was updated during marksman update which happened in 2015. Probably, will be available to buy during events in the honor of Christmas. Third and the last legacy skin for MF. Was made in a post-apocalyptic style and movie franchise “Mad Max“. Another very cheap skin for MF, however you can’t buy it unless legacy skin sale happens. Stylish skin in the atmosphere of America in time of prohibition of alcohol when mafia became powerful. This skin has stylish look. Three years passed between Mafia and Arcade MF skins. This is one of the best skins for Miss Fortune which even has different chromas. 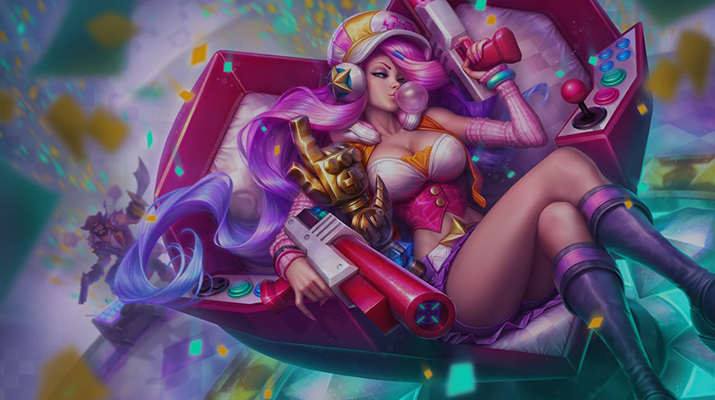 Arcade theme is one of the most popular skin theme in LoL and Miss Fortune fits into it very well. Miss Fortune became a captain in 2015. Skin has amazing Splash Arts but, according to comments, look of Captain MF in the game got mixed reviews by league players. Pool party skins are being released every summer. 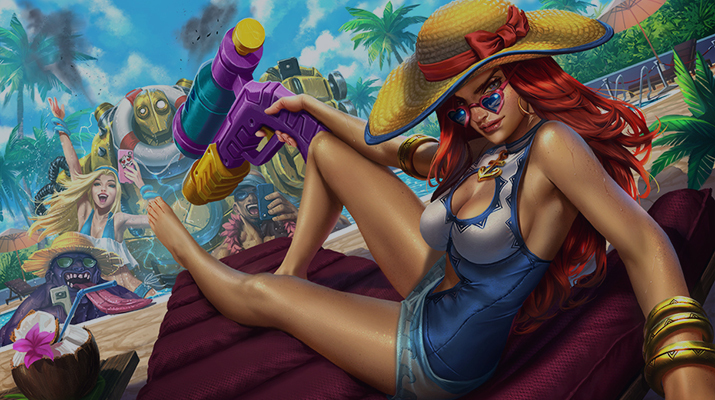 Miss Fortune got awesome skin from that set despite the fact that splash art may seem for you not that amazing. Do you like anime? Then star guardian set is for you! Star Guardian MF looks amazing especially when she runs under “homeguard” effect. 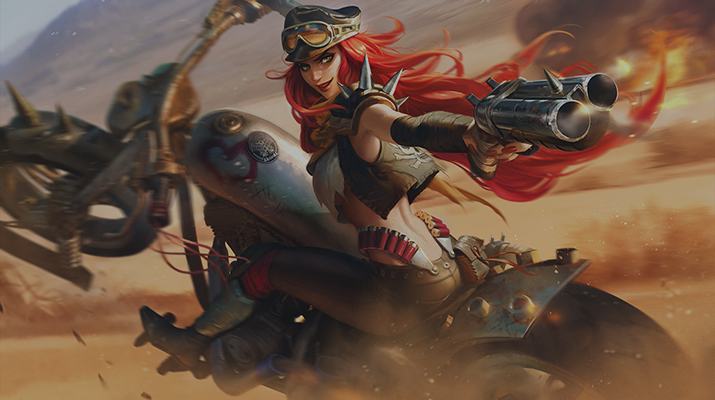 The 5th ultimate skin in LoL goes to Miss Fortune. This skin looks very badass and have 4 different stances which you can switch while you are at the fountain. Each stance changes look of MF in a very different way (including visual effects). This is without any doubt the best Miss Fortune skin and the most cheapest ultimate skin ever (usual price for ultimate tier skins is 3250 RP). The best skins for Miss Fortune in our opinion. These are all official skins for Miss Fortune. We hope you enjoyed this list. If you are interested in improving your rank in LoL then we recommend you an elo boost by Boosteria. Wow, that was a long skin list.